Similar fast-acting relief and dosage control to smoking without the effects of combustion and inhalation. 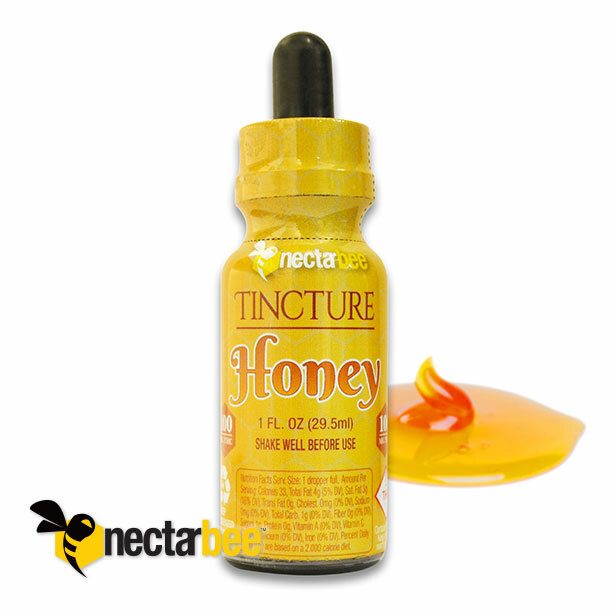 Nectar Bee tinctures contain all the essential cannabinoids from the plant, extracted using an emulsion of ethanol hash oil. The best way to consume effectively is sublingually or under the tongue. Tinctures are designed to peak rapidly, drifting into a steady high that lasts over time. This honey flavored tincture will help with relieving everything from headaches to sore muscles to cramps. Add a drop or two into your tea or beverage and enjoy. Each bottle contains 100mg THC total or 37 – 2.7mg per full dropper.